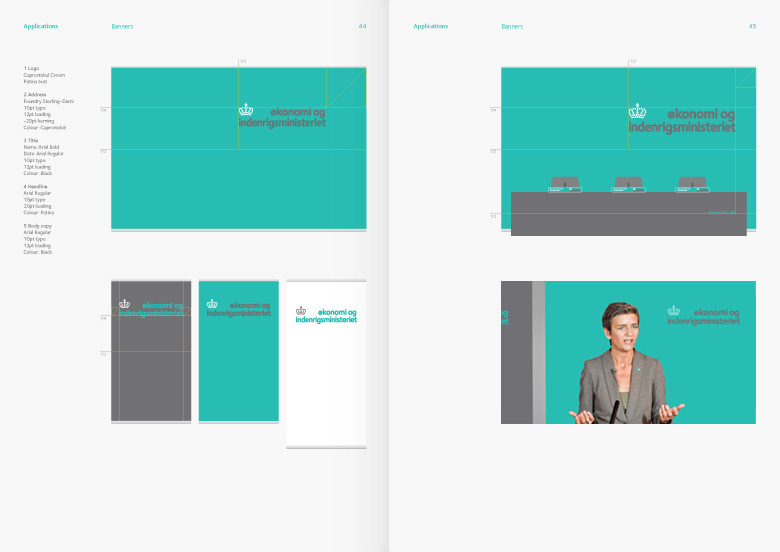 Create a logo and identity system for a new Danish government department combining Economic Affairs and the Interior. Radikale Venstre's party leader Margrethe Vestager was appointed minister for Economic Affairs and the Interior, a similar role to the British Chancellor of the Exchequer. This position combined two ministries and a new logo and identity system were required to represent this ministerial union. Our design work for Radikale was considered by the party to have played a important role in their election success. Consequently we were asked to design this new ministry logo and identity system. 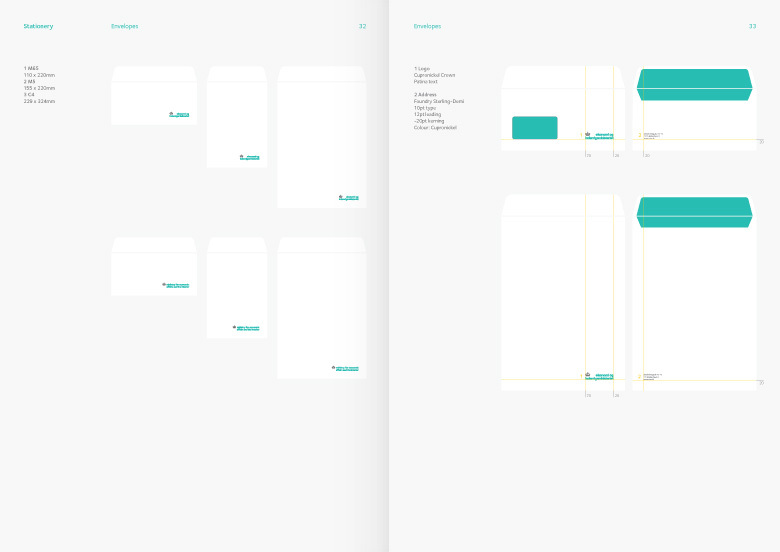 We were also notably the first non-Danish design studio to be commissioned to work for the Danish government. We suggested a contemporary 21st Century font to visually define this newly formed department. We were also asked to incorporate a crown motif in the branding as Denmark still has a royal family. Although not a necessity, we agreed that a crown motif gave the logotype a mark of authority. Uniting the classical with the contemporary to represent an important new political department. As with our choice of font, we designed the crown motif to be a modern interpretation of classical iconography. Taking our inspiration from the monetary system and representing the crown with coins, rather than using pseudo-historical references. A series of colours were developed based on the banking notes with a signature green inspired by the natural copper patina of the parliament building roof. This was tempered with a cupronickel grey originating from the colour of the coinage. We produced a set of brand guidelines for the following digital and print deliverables: website, stationery, press banners, identity cards, PowerPoint presentations and the covers for the quarterly fiscal reports published by the government. "Our new logotype and identity is instantly modern, underpinned by acurate research. The contemporary design has authority, relevance and great appeal."